Recently completed, this custom designed, coastal, home remodel and second floor addition located in the environmentally conscious community of Solana Beach, is comprised of over 2,200 square feet of indoor living space and over 1,400 square feet of outdoor living area, including three bedrooms, thee full bathrooms, and an open entertaining area with wide ocean views. 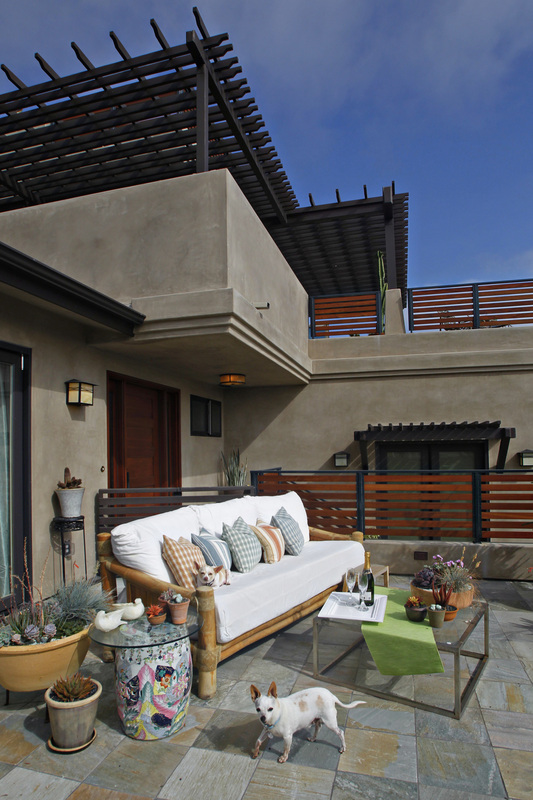 Exceeding Sate of California Title 24 energy efficiency requirements by over 50%, this project is the 1st home in Solana Beach and 3rd ever in San Diego County, to receive New Home Green Point Rated certification through Build It Green. Over 50% of the construction waste was diverted from the landfill through reuse and recycling. 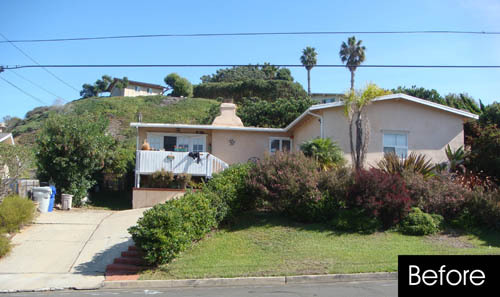 High energy performance home, exceeding California Title 24 requirements by 23.3%. Achieved nearly double the minimum required points for Build It Green certification. Low VOC (Volatile Organic Compounds) finishes and low emitting insulation for improved indoor air quality. High efficiency dual flush toilets, low flow faucets and low flow shower heads for water conservation. High efficiency, sealed combustion furnace for improved indoor air quality. 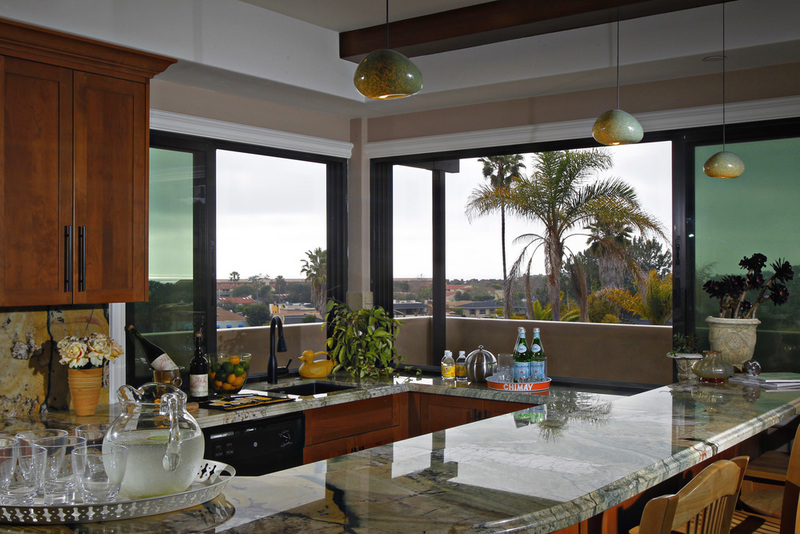 Dual glazed, Low E windows for improved comfort and reduced mechanical heating / cooling. Energy Star energy efficient appliances. Clothes washer plumbed for grey water irrigation system. 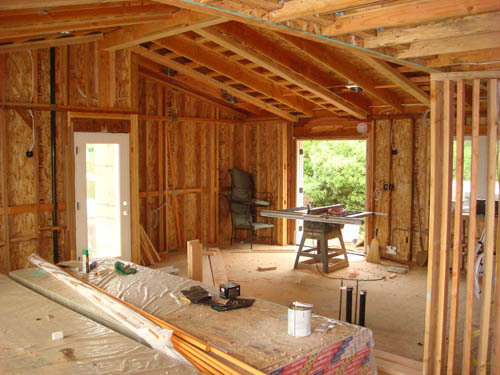 All floor and roof sheathing with Oriented Strand Board (OSB) made from small diameter, rapid growth lumber. 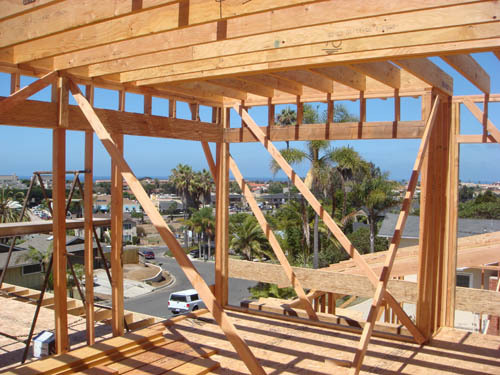 All beams, joists and rafters are engineered members instead of conventional timber, reducing virgin lumber usage by up to 33%. All interior walls sheathed with 5/8" thick gypsum board, increasing thermal mass. Extended life, non-combustible roofing materials to improve durability, reduce material consumption and increase safety. 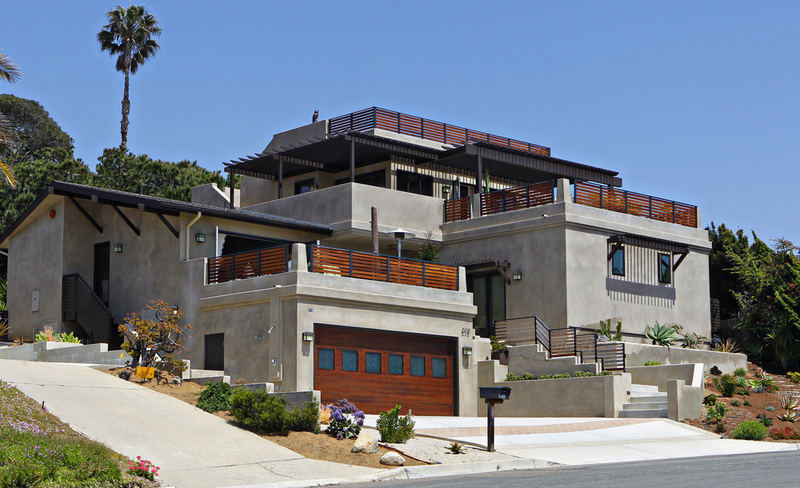 Detached garage eliminates potential of garage pollutants entering the home. Over 75% of plantings are California Native species, requiring minimal supplemental irrigation beyond normal rainfall. Landscape areas designed in hydrozones by grouping plants with similar water requirements. Low flow drip, bubble and rotary irrigation to reduce over spray and runoff. Landscape beds mulched over 2" deep to reduce evaporation and retain moisture.